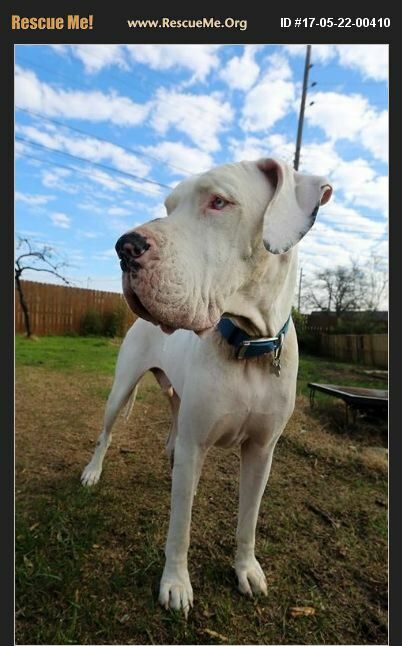 FINN is a 4 year old Double Merle Great Dane who is deaf. This big boy is house trained, leash trained, and knows sit and down. Finn is a sweetheart and just loves to be loved on. He needs a home without younger children, only teenagers. He suffers from separation anxiety and he can't be crated. He will also need a secure fence, no chained-link fence. Formal training is required within 30 days of adoption.